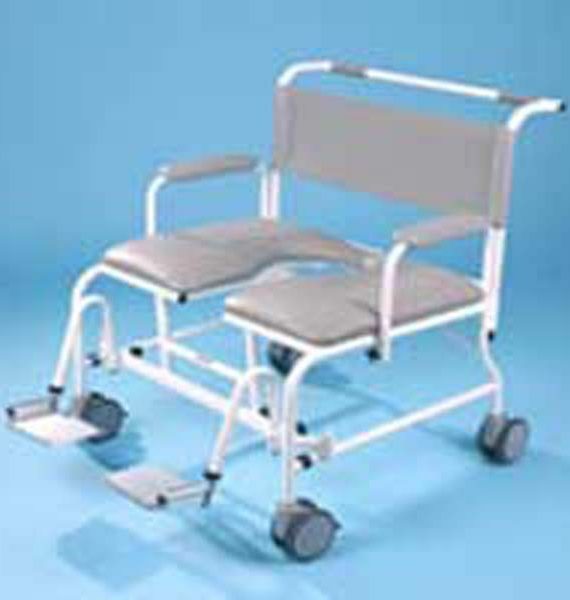 The Freeway T100 Bariatric Shower Chair carries up to 350kgs (55 stone) and is suitable for a variety of applications for bariatric clients. 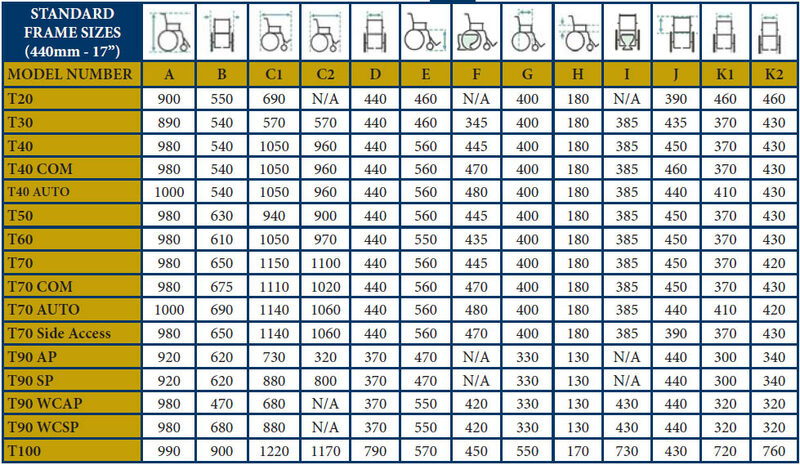 Seat dimensions are 790mm wide and 550mm deep. 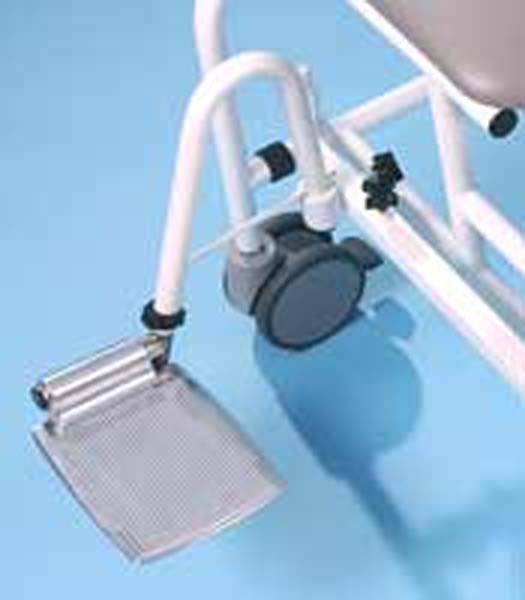 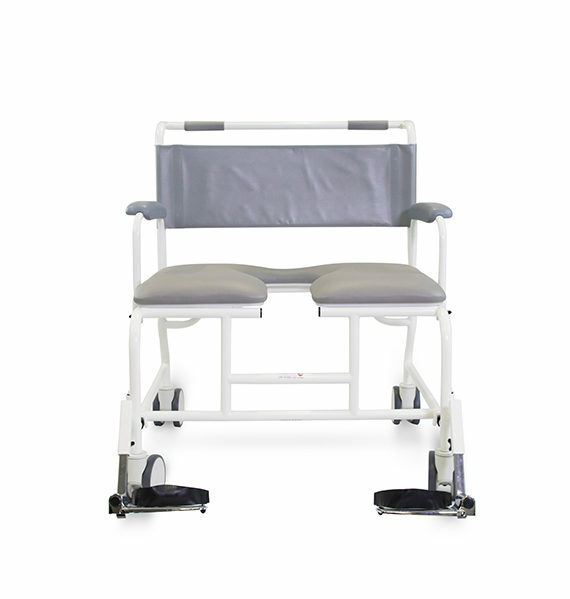 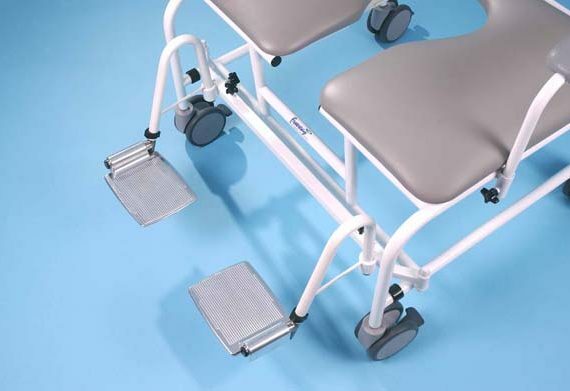 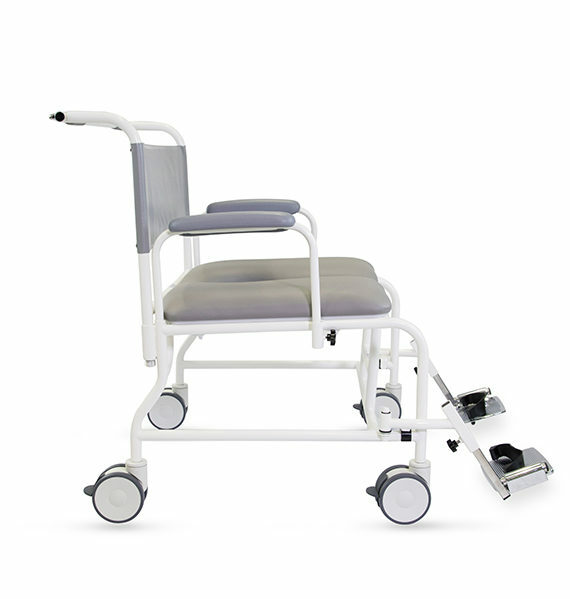 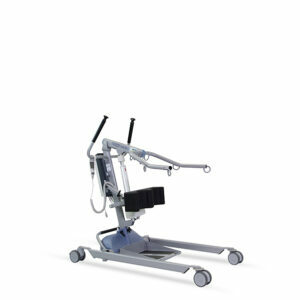 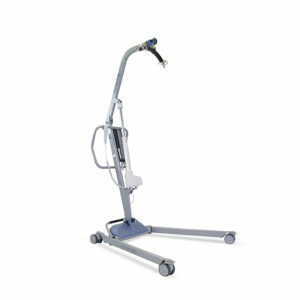 The T100 benefits from increased diameter tubing, special heavy duty castors, and heavy duty footrests with height adjustable heel supports which are removable, and swing away. 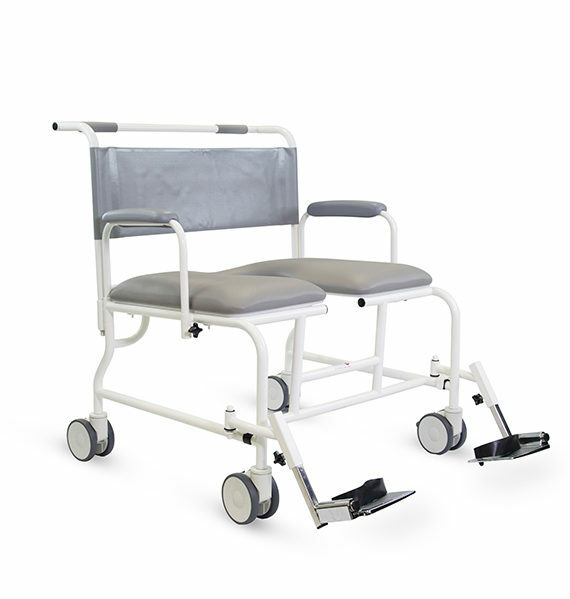 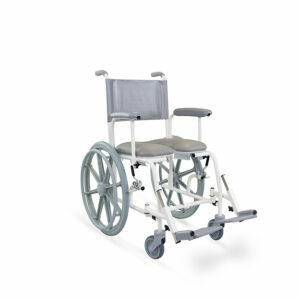 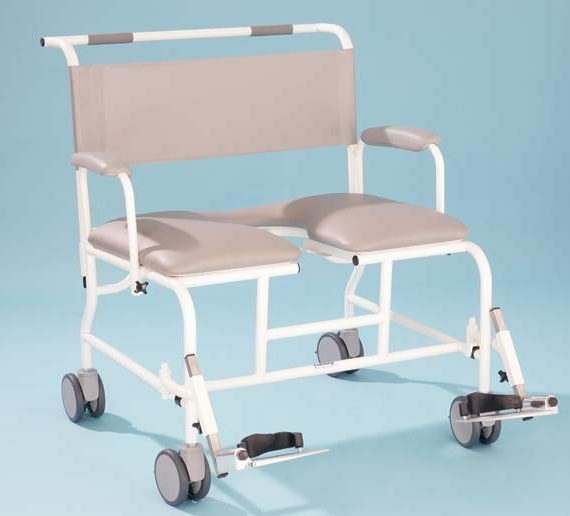 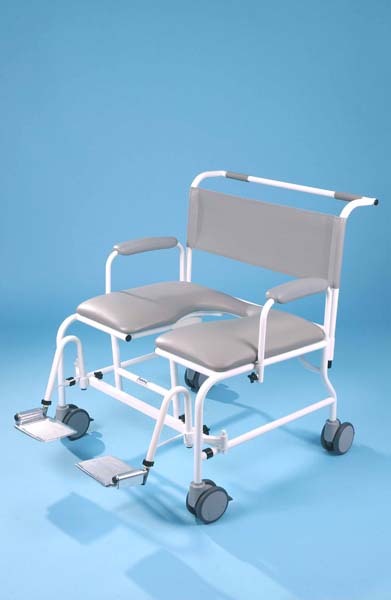 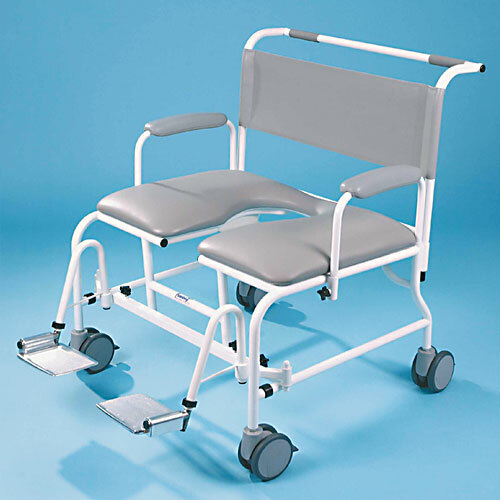 The protective coating of the shower chair includes FREECOTE®, our unique antimicrobial and antibacterial coating which is resistant against the hospital super bug MRSA, e-coli, salmonella and listeria. 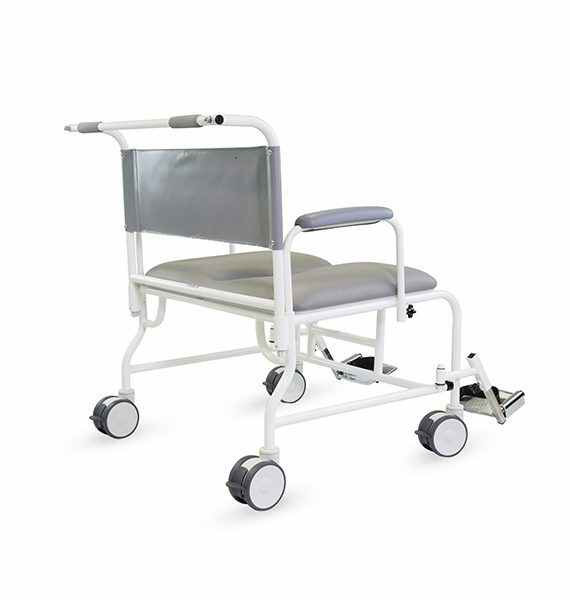 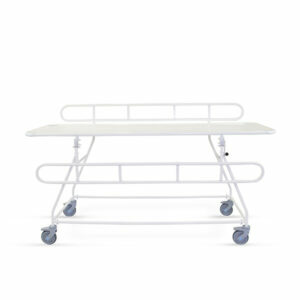 Antibacterial coating which is resistant against the hospital super bug MRSA, e-coli, salmonella and listeria.